Happy Friday, friends! I'm SO happy it's finally Friday! 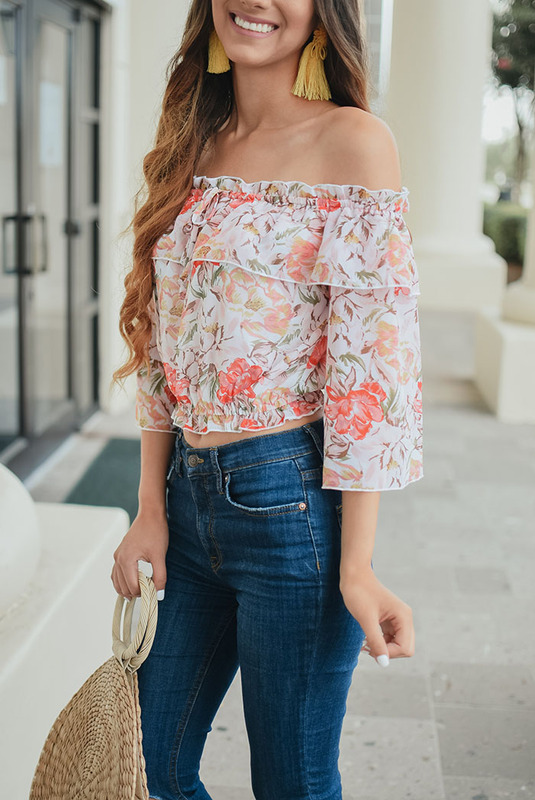 Today on the blog I'm sharing this adorable floral off the shoulder top! I love the ruffle detailing and how romantic it looks. It's perfect for a date night! 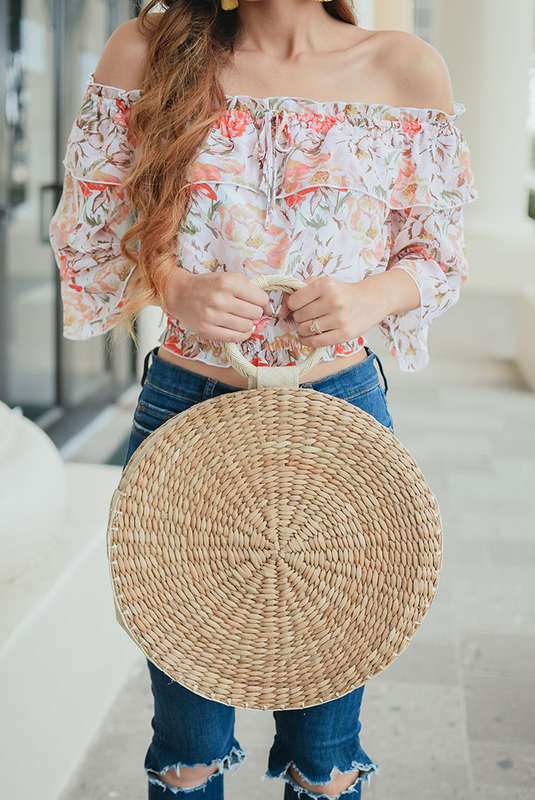 I paired this top with my all-time favorite high waisted jeans and these Steve Madden wedges. Did ya'll know these wedges are on MAJOR sale? I seriously wear them all the time and couldn't believe they went on sale. I'm definitely jelly of the ones that get these shoes for half the price.